GFWC’s clubhouses all have their own architectural personalities and histories. 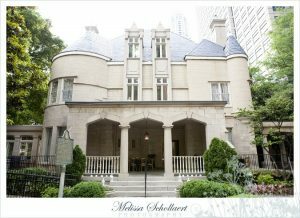 For example, the Atlanta Woman’s Club’s (Georgia) clubhouse was inspired by a French chateau! William A. Wimbush, a distinguished Atlanta attorney, returned from visiting his friend’s chateau in Southern France, so he commissioned the building of the Wimbish House in 1906 so his family had a home that reflected their social status. 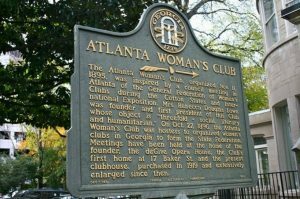 He hired architect Walter T. Downing to design it, and the family lived there from 1906-1919 until the Atlanta Woman’s Club purchased the home for $47,500 to use as their clubhouse. The Victorian-era home is one of the last residences on what was once considered Atlanta’s “Mansion Row”. It has since been restored, but the home still recalls the turn of the century, especially amongst the new and chic buildings around it. 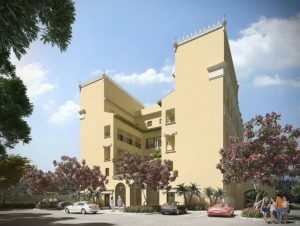 In the early 1920s, the Miami Woman’s Club clubhouse was designed by local architect August Geiger. With a symmetrical composition, a garden courtyard, a porte-cochere, and semi-circular arched windows, it’s an example of the adaptation of Spanish Renaissance Revival style architecture. The building’s original metal cresting that topped the roof and other ornamentation was deteriorated by salt air, so it was removed in 1951. In 2009, the windows and doors were all replaced with hurricane proof glass. 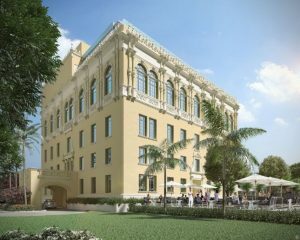 The club wants to protect the building, so they decided to create a commercial partnership that will guarantee the building’s long term stability, and so two world class restaurants lease out two of the clubhouse’s three floors. 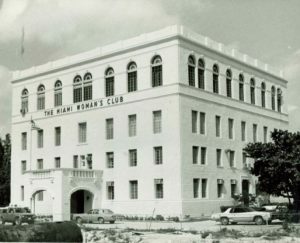 The Miami Woman’s Club is eagerly awaiting restoration, which is in the permitting process and which will include returning the cresting that was removed in 1951, so that their building can be appreciated for years to come. Unlike clubs that purchased buildings that already existed, the Florence Woman’s Club bought land in 1914, established a building fund in 1919, and constructed their clubhouse in 1929 for $9,420. 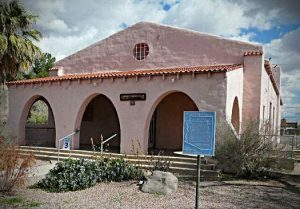 The 16,260 square foot building was the last Spanish Colonial Revival building left in Florence by 1982. Similarly, the GFWC Ossoli Circle (Tennessee) bought a lot so a clubhouse could be built on it in the early 1930s. Barber and McMurray, Knoxville’s best architects, were hired for the job. 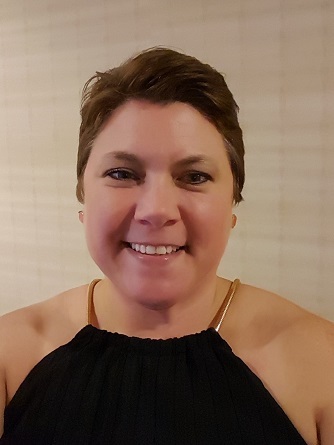 Barber thought that since the club was the oldest federated woman’s club in the South, that its look should match that. He wanted it to look southern to match its history and southern ladies, but also give the appearance that it had been on the property for many years. One of the ways he accomplished this feat was to use hand-pressed brick, just like the Southern antebellum mansions. 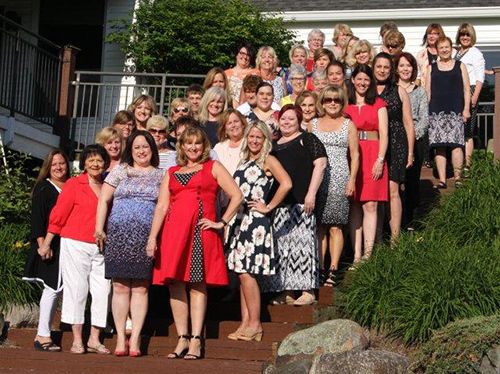 GFWC clubhouses may be unique in style, but they all provide a place for women to come together and dream big for the difference they want to make in the world. Thank you to every club that contributed!